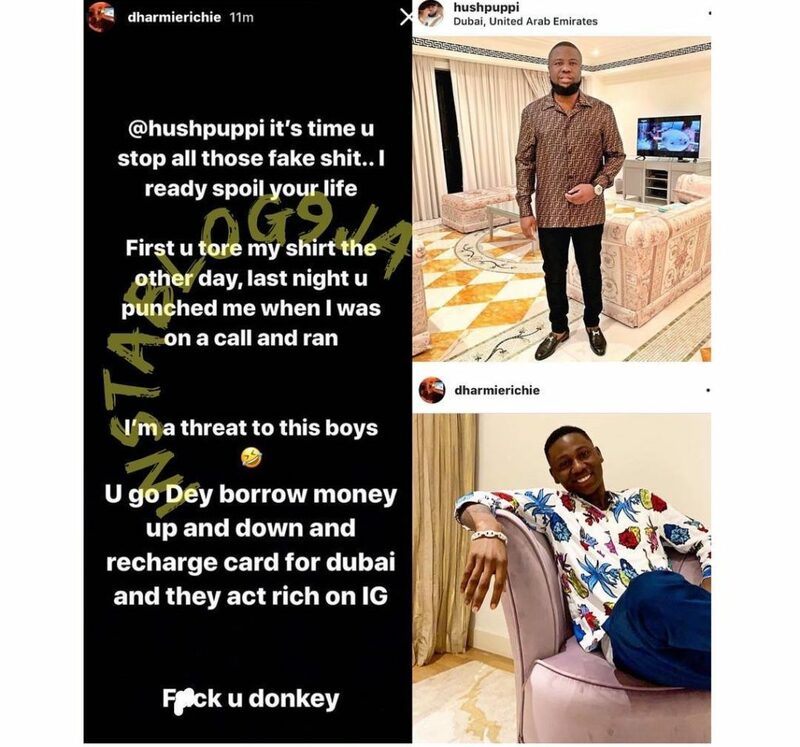 A foreign based Nigerian big boy, Dharmie Richie has threatened to exposed the fake life lived by Dubai based big boy and self-aclaimed Gucci master, Hushpuppi. According to Dharmie Richie, Hushpuppi lives a fake life and is always borrowing money just to recharge his phone. Few weeks ago, when Hushpuppi flaunted a Bentley Bentayga and a Rolls Royce as a gift he acquired for himself, he was quickly called out by his former friends, Mompha and Cubanna Chief Priest, who claim the cars are rentals. With Dharmie Richie threatening to expose the Gucci master, we might as well conclude that there’s an element of truth in the claims that he lives a fake life.